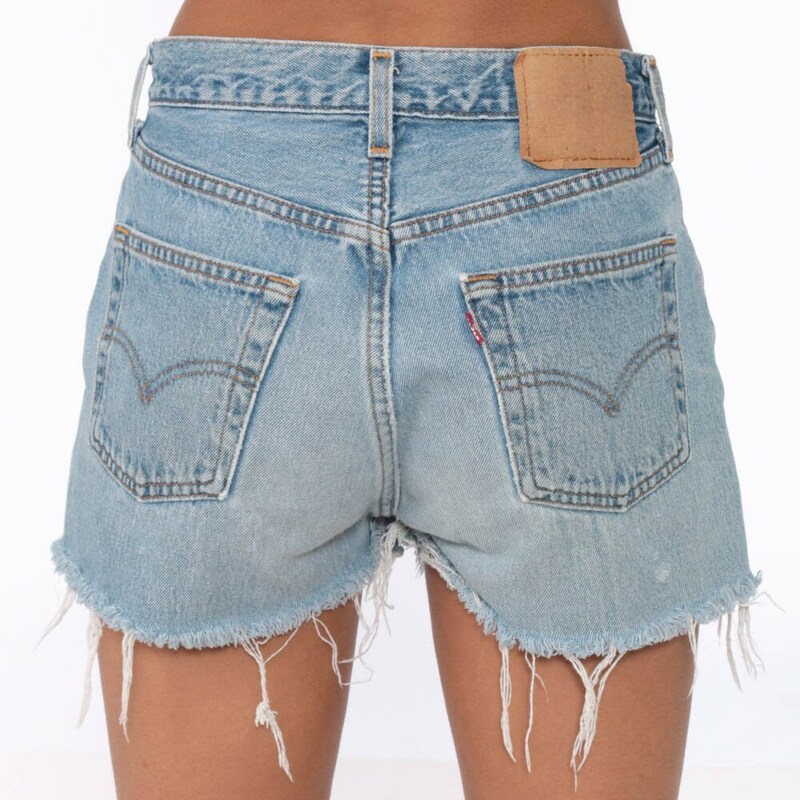 Vintage 80s cut off denim shorts by Levis. 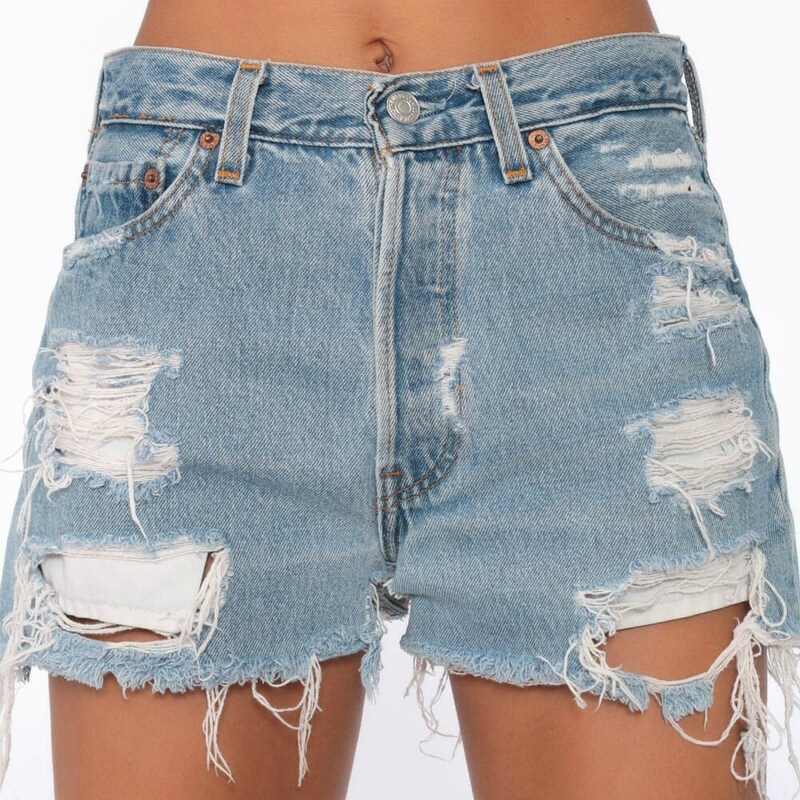 Distressed blue denim with fraying and rips. Condition: Distressed. Holes and fraying throughout. This is a cutoff style with raw edges. See photos.